Your privacy is very important to us, and we value your trust by visiting our website. This policy explains what information we collect, how, and why we collect it when you visit our website, or when you use our Services. It also explains the specific ways we use and disclose that information. We take your privacy extremely seriously, and we never sell lists or email addresses. These definitions should help you understand this policy. When we say “we,” “us,” “our,” and “WP101,” we are referring to WP101, LLC, a Texas limited liability company, with its principal place of business at 9707 Shadowglade Ct, Houston, TX 77064. We provide online training that you may use to learn how to use certain software tools to build or manage your own website. When we say “Member,” we are referring to the person or entity that is registered with us to use the Services. When we say “you,” we are referring either to a Member or to some other person who visits our Website (“Visitors”). “Personal Information” means any information that identifies or can be used to identify you, directly or indirectly, including, but not limited to, first and last name, email address, or other demographic information. Some visitors to WP101’s website choose to interact with WP101 in ways that require WP101 to gather personally-identifying information. The amount and type of information that WP101 gathers depends on the nature of the interaction. For example, we ask visitors who sign up at WP101.com to provide a username and email address. Those who engage in transactions with WP101 are asked to provide additional information, including as necessary the personal and financial information required to process those transactions. 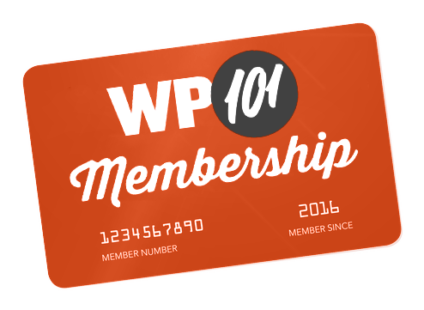 In each case, WP101 collects such information only insofar as is necessary or appropriate to fulfill the purpose of the visitor’s interaction with WP101. WP101 does not disclose personally-identifying information other than as described below. And visitors can always refuse to supply personally-identifying information, with the caveat that it may prevent them from engaging in certain website-related activities. When visitors choose to leave comments or reviews on the website we collect the data shown in the comments form, and also the visitor’s IP address and browser user agent string to help spam detection. When you watch a video on our website, our video hosting provider, Vimeo, saves a cookie in your browser that supports video functionality like closed-captions and other preferences, saves your playback position, and tracks views. Website Cookie Preference Tool: You can exercise your Website cookie preferences by visiting the TRUSTe preference center by clicking this link: https://preferences-mgr.truste.com/. WP101 may collect statistics about the behavior of visitors to its websites. WP101 may display this information publicly or provide it to others. However, WP101 does not disclose personally-identifying information other than as described herein. We and our third party partners may use technologies from time to time, like web beacons, pixels (or “clear gifs”) and other tracking technologies. These are tiny graphics files that contain a unique identifier that enable us to recognise when someone has visited our Websites or, in the case of web beacons, opened an e-mail that we have sent them. This allows us, for example, to monitor the traffic patterns of users from one page within our Websites to another, to deliver or communicate with cookies, to understand whether you have come to our Websites from an online advertisement displayed on a third-party website, to serve targeted advertisements to you and others like you, to improve site performance, and to measure the success of marketing campaigns. While you may not have the ability to specifically reject or disable these tracking technologies, in many instances, these technologies are reliant on cookies to function properly; accordingly, in those instances, declining cookies will block or impair functioning of these technologies. WP101 only discloses potentially personally-identifying and personally-identifying information to its employees, contractors and affiliated organizations that (i) need to know that information in order to process it on WP101’s behalf or to provide services available at WP101’s websites, and (ii) who have agreed not to disclose it to others. Some of those employees, contractors and affiliated organizations may be located outside of your home country; by using WP101’s websites, you consent to the transfer of such information to them. WP101 will not rent or sell potentially personally-identifying and personally-identifying information to anyone. Other than to its employees, contractors and affiliated organizations, as described above, WP101 discloses potentially personally-identifying and personally-identifying information only in response to a subpoena, court order or other governmental request, or when WP101 believes in good faith that disclosure is reasonably necessary to protect the property or rights of WP101, third parties or the public at large. If you are a registered user of an WP101 website and have supplied your email address, WP101 may occasionally send you an email to tell you about new features, solicit your feedback, or just keep you up to date with what’s going on with WP101 and our products. If you send us a request (for example via email or via our contact form), we reserve the right to publish it in order to help us clarify or respond to your request or to help us support other users. WP101 takes all measures reasonably necessary to protect against the unauthorized access, use, alteration or destruction of potentially personally-identifying and personally-identifying information. For users that register on our website (if any), we also store the personal information they provide in their user profile. All users can see, edit, or delete their personal information at any time (with the exception of being able to change their username). Website administrators can also see and edit that information. Visitor comments may be checked through Akismet, an automated spam detection service. We collect information about visitors who comment on our site using the Akismet anti-spam service. The information we collect typically includes the commenter’s IP address, user agent, referrer, and Site URL (along with other information directly provided by the commenter such as their name, username, email address, and the comment itself). If WP101, or substantially all of its assets, were acquired, or in the unlikely event that WP101 goes out of business or enters bankruptcy, user information would be one of the assets that is transferred or acquired by a third party. You acknowledge that such transfers may occur, and that any acquirer of WP101 may continue to use your personal information as set forth in this policy.